TROY, Mich. – May 18, 2015 – Dayco, a leading global engine management technologies supplier for the automotive, industrial and aftermarket end-markets, today announced it is celebrating the 110th anniversary of its founding in Dayton, Ohio. When Dayco, then known as Dayton Rubber Manufacturing Company, opened for business on May 17, 1905, it was a dream come true for the five seasoned industrialists who founded the company. After a modest beginning manufacturing garden hose and canning jar rubber sealing rings, Dayco has grown into a global company with a reputation for an insatiable craving to develop new products, improve established products and increase manufacturing and distribution efficiencies. 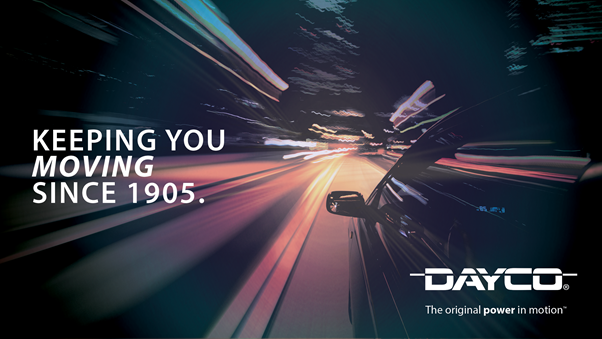 Today, Dayco is a global manufacturer of engine timing belt drive, accessory belt drive and continuously variable transmission products, systems and solutions. With 4,300 employees and more than 40 manufacturing plants, distribution centers, technology centers and sales offices in 16 countries, Dayco has utilized its global footprint to establish relationships with all original equipment (OE) engine manufacturers and more than 1,500 distributors worldwide. During the past five years, Dayco has expanded its business by opening manufacturing and distribution facilities in Asia, and by completing strategic acquisitions which resulted in the addition of new products as well as enhanced manufacturing, engineering and distribution capabilities. Dayco is a global leader in the research, design, manufacturing and distribution of a broad range of belts, tensioners, dampers, pulleys, hose and hydraulics equipment for the automotive, industrial and aftermarket end-markets. 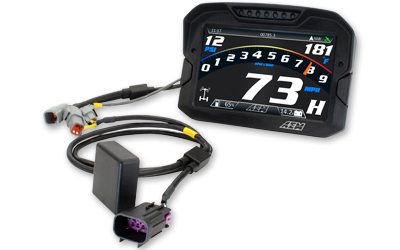 Recognized by both original equipment manufacturers and the automotive aftermarket as an innovative, technology-driven organization, Dayco operates a fully integrated global network of manufacturing facilities, distribution centers, technical centers and sales offices employing a workforce of more than 4,300 employees. Dayco continues to be guided by the 110-year-old primary business strategy to anticipate and satisfy the needs of our customers by providing timely, quality products and services. Dayco. The Original Power in Motion. For more information about Dayco, visit the Company’s website at www.dayco.com.